The hardest part of anything is getting started, and Sugar-Daddy dating is no exception. First of all, it’s important to understand why you want to be a Sugar Baby, and what qualities you already possess that will help you become a smashing success in this amazing lifestyle. Learn what kinds of goals and expectations you should set for yourself as a Sugar-Baby and, most importantly, the best route to meeting those goals and making your expectations a reality. 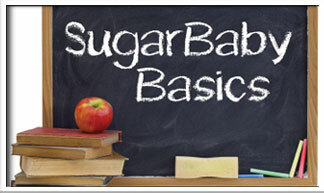 Everything you need to know to start your Sugar-Baby lifestyle is right here! If you want to build a successful lifestyle for yourself as a Sugar Baby, you must start with a strong foundation. First Impressions are the Strongest: Maximizing Your Sugar-Daddy First Date. You will only have one chance to make that all-important first impression.